With its relatively flat and dry terrain, Ilocos Norte has the surprise of concealing verdant valleys, forests, rivers and sand dunes that can give every tourist’s visit a worthy adventure. Branded as the tourism adventure hub in the north, the province has been working on improving its vast resources considered as treasure in the promotion and development of Ilocos Norte’s tourism industry. 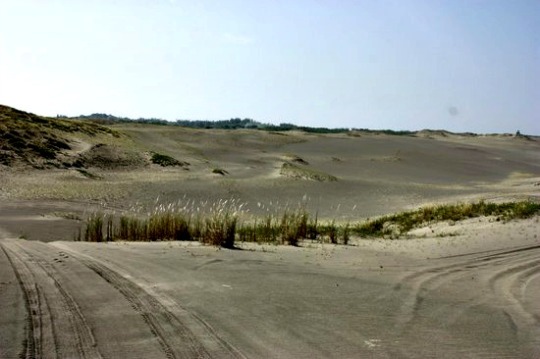 Highly visited and appreciated sites are the La Paz Sand Dunes in Laoag City where adventure sites for sand boarding and the 4x4 off-road vehicle are found. These two adventures have converted the stretch of the sand dunes into a playground for sand sports. One of the popular sand dunes along the coastal village of Paoay town also drew raves when it became launching pad of the grand sand festival dubbed “Himala sa Buhangin” (Miracle in the Sand) in 2012. Water sports like white water rafting and boating are also popular in Ilocos Norte. The Aguitap Diversion Dam in Solsona Ilocos Norte was developed for water adventure and site for picnickers. The famous Paoay Lake, which became a venue for an international rowing event in 2012, is now being utilized as rowing site for local rowers. A visit is not complete without trying out the flavors of Ilocos Norte such as pinakbet, igado, dinakdakan, poqui-poqui, bagnet and the native sausage, longganisa.